We've included these beaches for you: St. Kilda Beach and Sandridge Beach. 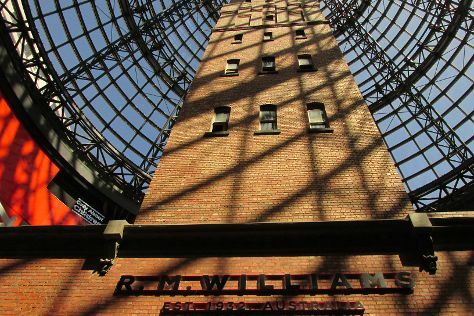 For shopping fun, head to Melbourne Central or Collins St/Swanston St. Explore the numerous day-trip ideas around Melbourne: Werribee Open Range Zoo (in Werribee), Torquay (The Great Ocean Road, Surfcoastimages Gallery, & more) and Dromana (Safety Beach & Mr Little Cider). Dedicate the 27th (Wed) to wine at some of the top wineries in the area. Spend the 6th (Sat) wandering through the wild on a nature and wildlife tour. There's lots more to do: stroll through Royal Botanic Gardens, enjoy the sand and surf at Cowes Beach, admire the landmark architecture of Shrine of Remembrance, and enjoy unforgettable views with a balloon tour. To see photos, other places to visit, where to stay, and other tourist information, read Melbourne trip itinerary planning website . In January, daily temperatures in Melbourne can reach 32°C, while at night they dip to 17°C. Wrap up your sightseeing on the 20th (Sat) to allow time to travel back home.